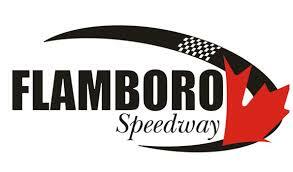 From Flamboro Speedway in May all the way to Peterborough Speedway in October, the OSCAAR Modifieds were fast as ever, with great competition throughout the field. While known as the By the Numbers piece in the past, this season will see a bit of a change in how it’s conducted. But here is your fabulous end of year review…. 1 OSCAAR start this year equaled into a feature victory for Cole Powell at Kawartha Speedway. Obviously, Powell set the best average finish of the year in doing so at 1. 1.33 was the second highest average finish, set by Gary McLean with his three starts this season. 2 feature wins for Luke Gignac, including his first career victory at Flamboro Speedway in June, certainly helped en route to the championship. 3 feature victories for Chris Milwain led all drivers this season. 3.8 was the best average finish set by a driver to run the full OSCAAR Modified schedule, which was set by Cory Horner. 4 drivers won more than five heats this season – A.J. Emms, Gignac, John Harper, and Horner. 4 drivers scored more than five feature top-fives this season – Milwain, Emms, Gignac, and Horner. 4.91 was the second-best average finish set by a driver to run the full schedule, which was set by Gignac. 5.72 was the third-beset average finish set by a driver to run the full schedule, which was set by Emms. 6 drivers won at least one feature this season. No. 8 of McLean ran the last three events of the season, winning a pair – Velocity 250 and Autumn Colours Classic. 9 heat wins by Horner led the way for all drivers this season. 9 feature top-fives by Horner led the way for all drivers this season. 10 feature top-10’s led the way, with the mark set by three drivers – Gignac, Horner, and Dale Reinhart. No. 14 of Emms scored a single feature victory – Sauble Speedway in August – en route to his runner-up in points. 15 drivers scored at least one feature top-five this season. 16 points separated Gignac and Emms at season’s end. 17 drivers won at least one heat race this season. 30 drivers scored at least one feature top-10 this season. 43 drivers ran at least one race this season. No. 79h of Horner made his presence known with a pair of feature victories in 2017.